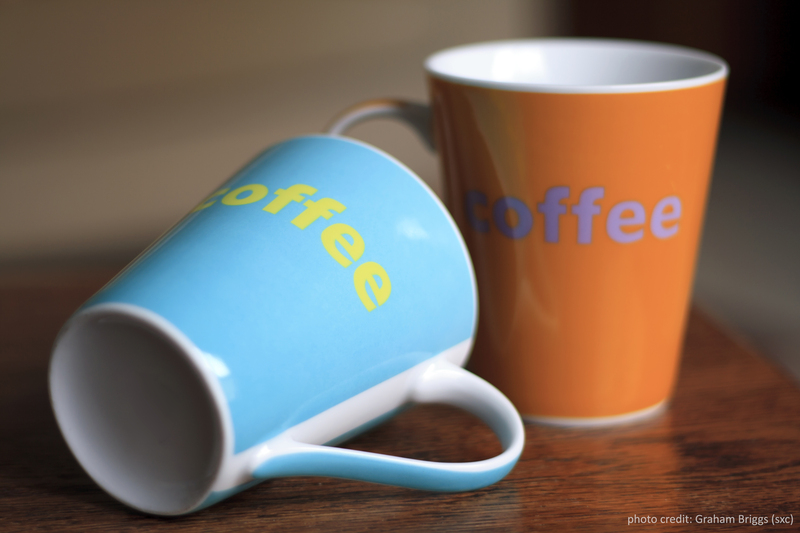 Friday Morning Coffee: Call to Action! As we jump into summer, we’re launching our new website soon, and we would like to make sure all of our community arts partners’ contact information is still correct. We’ll be moving all of the current ArtBridges/ToileDesArts blog content over into the new website. If you’d like to add your community arts initiative’s profile for the first time to our Map and Profile Directory, please fill out the attached form and send it back to us soon at: info@artbridges.ca. 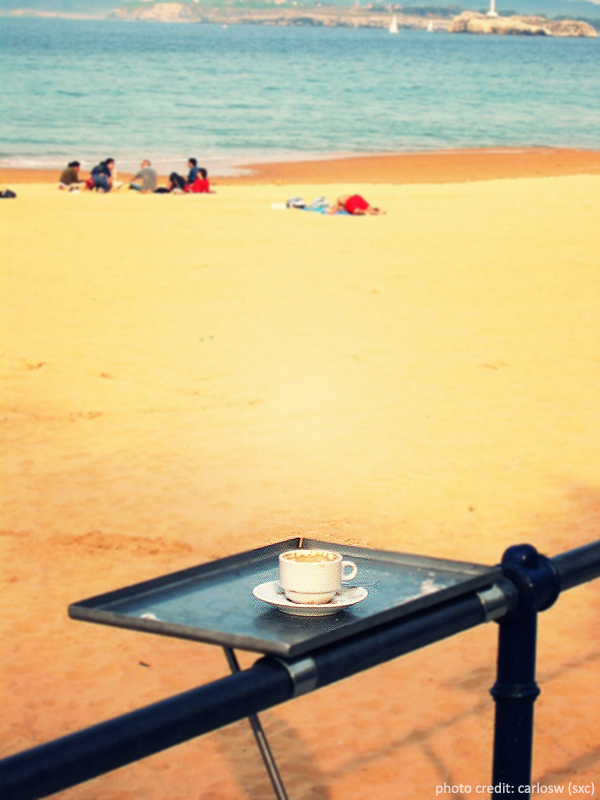 We’ve hired a new position for the summer (and hopefully longer!) to help us—help you—through this transition. I’d like to introduce our readers and community arts partners to ArtBridge’s Outreach Coordinator, Sonya Young. She’ll be reaching community arts initiatives that we’ve previously profiled over the next few weeks. p.s. Remember to send any updates about your events, projects, or workshops to us and we’ll post them on our community blog throughout the summer! Thanks, and enjoy the long weekend! 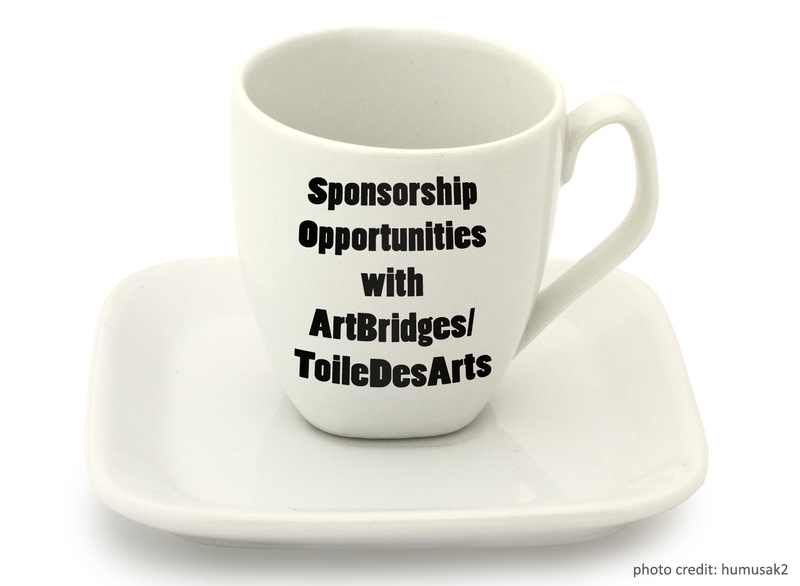 Friday Morning Coffee: Sponsorship Opportunities on the ArtBridges/ToileDesArts Daily Post! Would you like to have a presence on ArtBridges/ToileDesArts’ Daily Post every day and be seen by our daily subscribers (email, facebook, twitter & blog) and hundreds of blog viewers across Canada? We’ll give your organization or business space for your logo or graphic and a link to your website on each of our Daily Blog Posts for a month or for a few months. We are providing a space for sponsorships or outreach promotion (events, opportunities or announcements). At the ArtBridges/ToileDesArts office, we are developing a sponsorship program to help support our work online and for the new website features we’re currently developing. This is to help supplement the charitable donations we receive and provide an alternative revenue stream. We’re exploring and developing ways we can be sustainable (as every arts initiative is) and we need your help along the way! When you become a sponsor, you are a partner in ArtBridges/ToileDesArts’ important work. And your sponsorship will help ArtBridges/ToileDesArts to nurture community-engaged arts across Canada. 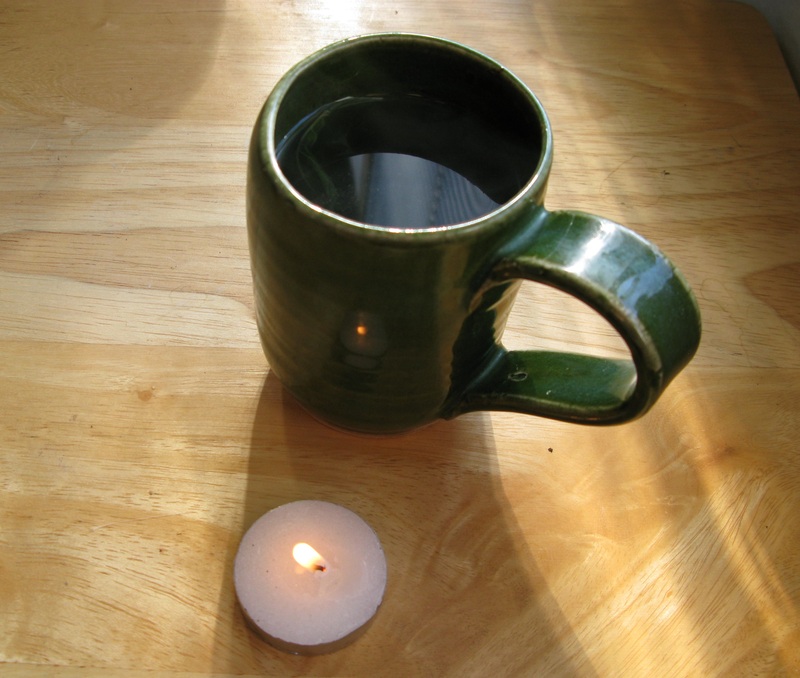 So, please think about this opportunity as you sip your coffee or tea today—can you help us or think of someone who could make a sponsorship or promote their event/opportunity or announcement on the ArtBridges/ToileDesArts Daily Post and new website? Please reach our office (416-691-7777 or toll-free 1-877-278-3002) and ask for Simon Constam, Sponsorship Director, or email him at: simon@artbridges.ca, he’ll discuss opportunities with you. Last Friday, we posted a summary from a telephone survey on needs and challenges of community arts organizations in Ontario that Maxine Sidran, our ArtBridging Ontario Researcher, did. An OCAD grad student worked with Maxine’s survey results and tallied all the mentions of various needs and challenges that were expressed by each of the 39 (30%) of the 132 English-speaking community arts organizations in Ontario previously profiled on this blog. If anything, the tally reflects that we are not alone with issues; many challenges are shared in this field. One thing that Maxine and I found in the comments she recorded, was that people are keen collaborate, mentor and help other initiatives work through issues they’ve already worked through successfully—but, this takes time. And time is a resource that no one seems to be able to spare much of. We think that if ‘mentorship grants’ could be provided by funders, seasoned community-engaged arts initiatives could be paired with emerging community-arts initiatives and many of these challenges could be addressed via peer support. The outcome would positively effect the quality of service and capacity of these and similar organizations and lead to more arts in communities—the ensuing benefits to communities. We’d love to keep the discussion going, so share your thoughts with us: info@artbridges.ca. Aiding Dramatic Change in Development, Amnesty International Toronto, Art City in St. Jamestown, Art House for Children and Youth, Art Starts, Arts Council Windsor and Region, ArtsSmarts, ArtReach Toronto, Arts for Children and Youth, bARTer, Broken City Lab, Cabbagetown Community Arts Centre, CARFAC National, CFRC 101,9FM, Collaborative Connections (TDSB), Creative Spirit Art Centre, Cultural Appreciation from a First Nation Perspective, Debajehmujig-Storytellers, Definitely Superior Art Gallery/Die Active Art Collective, Environmental Defence, Fred Victor Arts Program, Inner City Angels, Kids Up Front Foundation, Luc Sculpture School and Studio, MABELLEarts, Making Room Community Arts, Mixed Company Theatre, Neighbourhood Arts Network, North-South Partnership for Children, North York Community House, Ottawa Innercity Ministries, Prologue, Scarborough Arts, Sketch/CUE, Smooth Rock Falls Art Centre, South Etobicoke Youth Assembly (SEYA), Suite Life Arts for Youth, Supporting Our Youth, Toronto Pan/ParaPan Am Games, Up Front Theatre Foundation, Willow Springs Creative Centre. “I spoke with 39 of the 132 English-speaking community-engaged arts organizations in the ArtBridges network (30%). My initial approach told them we were looking for input regarding their major challenges and how they might be able to help other groups meet their own challenges. Although they were told that the survey would take only 15-20 minutes, many of the interviews ran to half an hour or more, with people happy to talk about their pride in their organizations and their people’s commitment to its goals. They knew the road was hard, but they believed it was worth it, and they were aware of the wide variety of obstacles that stood in their way. Funding was by far the biggest concern (21 comments), followed by Time (12 comments). Most of these organizations are run by only one or two full-time staff (the number I heard a lot was one full time and one part-time staff). Many spoke about the difficulty of finding appropriate granting organizations and having the time or expertise to follow up on them. There was an interest in collaboration, but time, staff and financial constraints often got in the way. It is clear that we are a community of givers at heart and are looking for ways to make sharing and cooperation possible. The smallest groups were proud of the ways they had been able to create something with nothing (bartering, trading, etc.) and had adopted the attitude that there was often a solution if you think outside the box. “A universal challenge. Board members need to really “get” what their job is and not “buy into” the roadblocks that funders throw up.”… “Lawyers are necessary on a Board, because they cut through to the heart of a problem and are well connected and solution-focussed”… “Board members with financial expertise”…”We want to see a PR person, accountant, lawyer and community members there”. 11 groups would share resources if they could “afford” it or would receive money/assistance in exchange. Friday Morning Coffee: Presenting ArtBridges/ToileDesArts New Logo! We are pleased to present ArtBridges/ToileDesArts’ new logo! Just over a year ago, we held a bilingual Canada-wide logo contest on our blog, twitter and facebook page and asked for submissions of creative ideas from community partners, friends and blog readers. With our website development team, ViUU inc.‘s Director & Project Manager Samuel Benisty arranged the graphic and lettering to create several renditions and sizes of the completed logo. Thanks to Gillian, Cora, Courtney, Samuel and the input of the rest of the ArtBridges team for this collaborative effort! Be on the lookout for our new logo, as you’ll see it gradually implemented into our material soon! We hope that you like it! 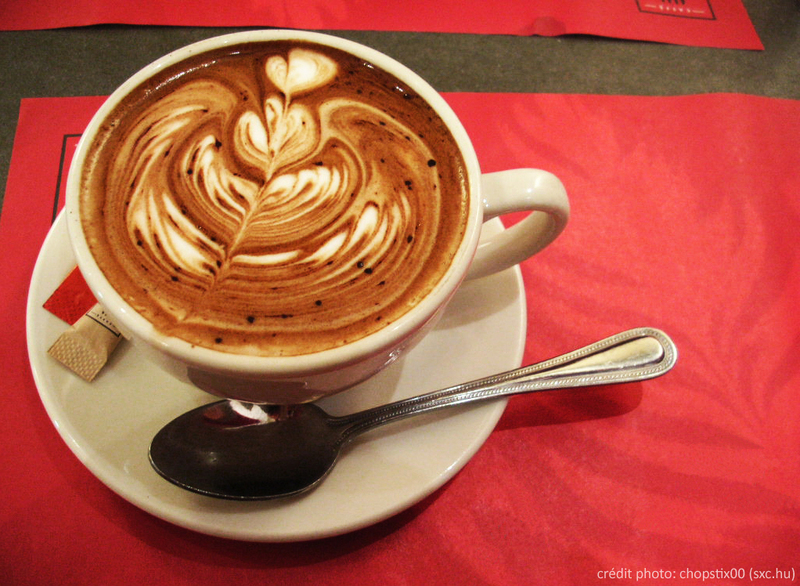 Friday Morning Coffee: What Is Community-Engaged Arts? What is community arts or community-engaged arts or arts for social change anyway? Is it a field? A process? A practice? A discipline? We’d be fools to try to explain it in our own words, when so many others have done a great job. We’ve found some of our community partners and friends in community-engaged arts initiatives who have described it really well. And they’re all Canadian. So, maybe these definitions are also rooted in a Canadian context somehow. When we started out with ArtBridges/ToileDesArts, I was cautioned by two different funders to try not to institutionalize this practice, don’t box it in, or define it. It’s an evolving practice and it’s growing organically. Another thing that was pointed out to me by a community partner was that some initiatives may not want to be defined as a “community arts” practice. Instead, they may see themselves more as a ‘youth organization’, so don’t try to impose an arts label on an initiative, each one will identify themselves. 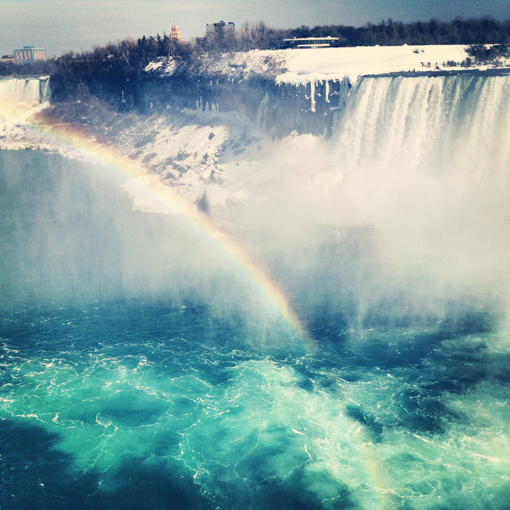 One thing we—ArtBridges—do know, is that this practice here in Canada is unstoppable! Each day, we learn about new and interesting community-engaged arts initiatives and their amazing impact within communities. At ArtBridges/ToileDesArts we are currently developing an online learning & resource portal that will be a feature of our new website. The resource portal will connect community engaged arts groups to helpful tools and information developed by others. If you have developed resources or documents in the course of your work, it’s likely that these could be useful to others as well! We can share resources by providing a link to the document on your website, or we can upload the resource to the ArtBridges library. Either way, all contributors will be provided with full credit and a website link. “As we all know too well, most arts groups are cash strapped and under-resourced. Despite this frustrating reality, I have been surprised and inspired time and again by the generosity of the people who work so hard to support arts and cultural activities across our nation. The ArtBridging Ontario project has been no exception. Since October, I have been working with the ArtBridges / ToileDesArts crew on this pilot research project. When this concludes, we’ll expand the work beyond Ontario and reach other provinces and territories. Next Wednesday, March 20th, we celebrate the first day of Spring and although it might not feel like it with Toronto temperatures still dipping below 0°, my head is already fillinIg with thoughts of Spring and the feeling of rejuvenation that it brings. ArtBridges/ToileDesArts is currently going through its own ‘rejuvenation’ with the development of its new website. It’s a learning process that we started months ago and it has, at times, felt intensely overwhelming–but we have an amazing web development team and I’m certain we’ll have a finished product that we can all take pride in. Although the website won’t launch for a few more months, we’ve been working hard at building new content for the website. Part of this initiative includes sharing more personal stories, not only from members of the ArtBridges team (like the weekly ‘Friday Morning Coffee‘ feature you’re reading now), but also from our community partners that have inspired us with their work. It is our hope that by documenting these stories we’ll be able to show the many benefits of community arts and its value can be raised. The first person I approached with this idea was Lauren Akbar of SYiM (Southern Youth In Motion). We’ve posted about SYiM several times and have had a great relationship with them since we first met with them last fall. SYiM is unique to me as it is the only program I have heard about that uses art to bridge the disconnect between youth in Ontario’s northern First Nations communities with youth in the south. They’ve achieved a lot since they first launched a few months ago and I thought it would be interesting to follow their story over the next few months and share it on the ArtBridges blog. Thankfully, Lauren was her usual awesome self and agreed to submit regular updates—the first of which will be posted next week so check back and check back often as we already have another post in the works! Bridging the gaps between north and south is something I feel personally connected to. I grew up in the relatively northern city of Thunder Bay and even though I currently live in the big city of Toronto, I love seeing Ontario’s northern communities being represented and always feel a little extra burst of excitement when I come across a really great arts program anywhere north of Barrie (considered ‘north’ to many Torontonians). In addition to Myths and Mirrors (Sudbury), CAHEP (Thunder Bay), New Traditions Multi-Arts (Sault Ste. Marie) and the Sioux Lookout Anti-Racism Committee (Sioux Lookout), I’ve recently profiled Aanmitaagzi, a multidisciplinary artist-run company serving North Bay and the Nipissing First Nation; and Rue Studio, an artist-run centre offering print-making, sewing and music to the community of Sheguiandah on Manitoulin Island. Other things I’ve been working on outside of Ontario include: the Adäka Cultural Festival in Whitehorse, which is currently accepting artist submissions. The festival takes place in late June and brings together First Nations artists from all across Canada to share and celebrate their creativity and culture with local, national and international audiences. Meanwhile, Toronto’s Red Sky Performance will be traveling to Alberta in May and is looking for communities, large and small, to host performances of their production of The Great Mountain, an eco-adventure story geared to children (ages 6-12) and their families. Do you have a personal story regarding community arts that you’d like to share or is there a really great arts program in your community that you think ArtBridges should know about? If so, please get in touch with me at cora@artbridges.ca. In the meantime, have a happy Spring and enjoy the rejuvenating and renewing qualities of the season! one of the first opportunities I’ve had to enjoy some warmer temperatures this year. Fundraising: I liken it to washing the dishes. It’s not fun, but, it’s got to be done, and done all the time. It’s not creative like cooking, or fun, like eating marvelous food with friends. But, the dishes have got to be done. Just like the grants, proposals, letters of appeal and events have got to be done to sustain all of the amazing community-engaged arts initiatives across the country that we hear more and more about everyday at ArtBridges/ToileDesArts. 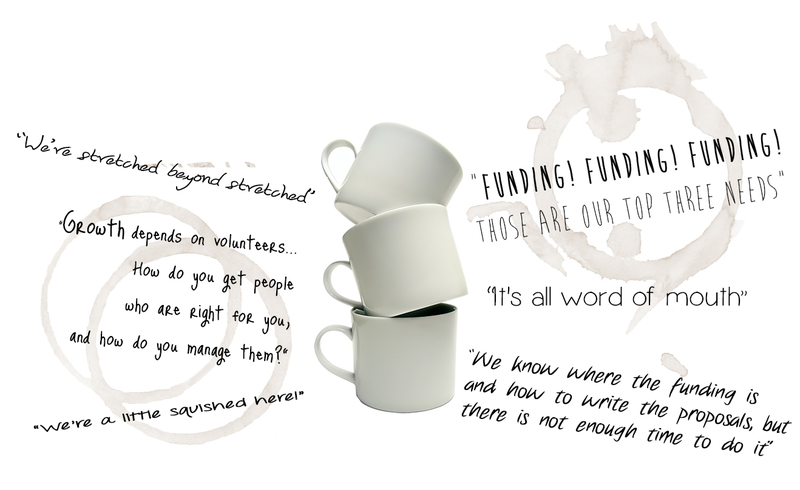 Mind you, some people like fundraising because it’s also about communicating the work being done and the stories, and this can be an interesting process. Anyhow, it’s grant-writing season, and for anyone who’s written grants you probably know that each government granting stream is like a pie. And there’s only so many pieces to go around. What’s depressing is all of these great community-engaged arts projects and organizations often go after the same “pie”. And again, there’s only so much to go around, so not everyone gets a piece. Once I met with a Board Chair after receiving a “sorry we regret to inform you” letter for a grant I had written which was denied funding. He said “awesome!! !” I looked at him with a dropped-jaw. He went on grinning … “great, keep writing more grants and proposals and due to the law of averages, we’ll get the next one, or the one after that.” That has always stayed with me…. And I keep trying, crazy as it may seem. That said, diversification is just as important as continuous output. 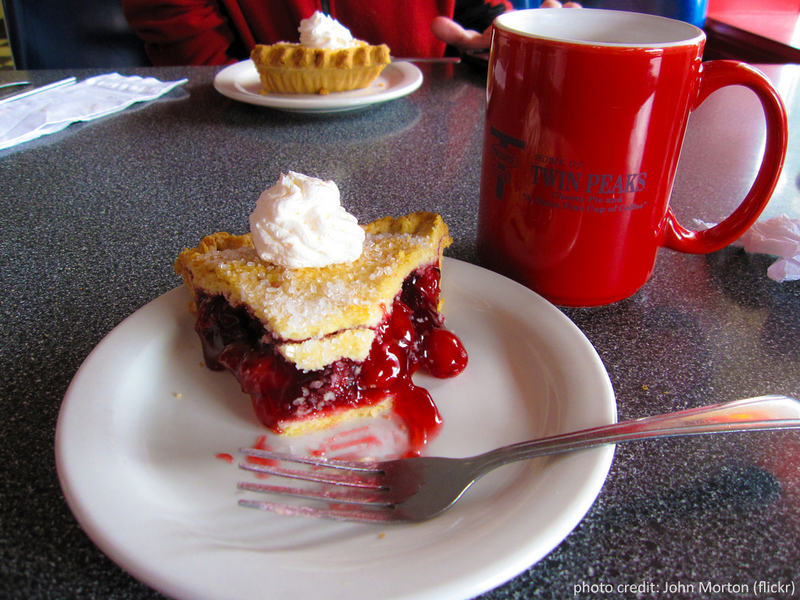 Foundations, corporations and service clubs have more “pies”, big and small, than government. Also, direct mail campaigns to individuals, a few times a year, usually yield donations as small as $10, but as large as several hundred, or thousand. And, there’s always events. And more volunteers, when the cash flow is low. And isn’t fundraising success all about the sum of the parts? Fundraising is also about relationship-building and communicating the benefits of the work you’re doing. You never know when or if someone you meet will be able to make a donation. Once, I gave a tour of a community arts centre to a youth in 2004; now, she’s on a Board of a foundation. She recently advised her Board to make a donation to said community arts centre in the amount of tens of thousands of dollars! This came unexpectedly, and unsolicited, after eight years! Hiring a fundraiser, even one day a week or, a few hours a week, could really be an asset to your community arts project’s growth. This position will keep the flow and output of proposals, grants and letters going and you won’t be alone commiserating if you don’t get a piece of the proverbial pie. For example, a few years ago, The Cabbagetown Community Arts Centre Executive Director was conducting all fundraising proposal and grant writing activities by herself — as her Board told her they couldn’t afford a professional fundraiser. I met with her and shared stories about how similar arts organizations that had fundraising support staff had become more sustainable as a result. She convinced her Board to invest in a part-time fundraiser and months later called to tell me about the substantial increase in revenue that her organization was receiving. Il y a eu plusieurs occasions dans ma vie que j’ai pensé “Si seulement je l’avais su avant!” Étant jeune artiste communautaire, j’ai beaucoup appris lors de mes premières experiences d’animation: par exemple, s’il y a un projet de murale pour enfants, il faut prévoir d’amples linges pour essuyer la peinture échappée! Tandis que je crois bien que nous pouvons tirer de bonnes leçons de nos erreurs, j’ignorais parfois des ressources qui m’auront pu être très utiles. Il y a beaucoup d’occasions de formation, des documents types, des études de cas, et des rapports qui peuvent être à notre disposition! Durant les trois dernières semaines passées, j’ai travaillé sur un nouveau projet de la ToileDesArts: un portail de ressources. Nous cherchons à rassembler une multitude de ressources qui ont étés développés par les membres de notre réseau. Nos erreurs, expériences et leçons sont importantes, et en les partageant avec notre communauté artistique, nous pouvons aider nos collègues artistes et animateur(e)s à approfondir leur connaissances et faciliter la gestion de projets et programmes d’art. Ce sont ces valeurs qui sont à la base du réseau de la ToileDesArts. J’ai déjà identifié plusieurs ressources lors de ma recherche, et je prévois en trouver plusieurs autres! Je me considère chanceuse de pouvoir accèder tant de ressources extraordinaires avec quelques touches du clavier, et d’avantage qu’il y a tant d’organismes qui cherchent à partager ce qu’ils ont appris. Tandis que je continuerai de me lancer à des projets en arts communautaires et à apprendre de mes erreurs, comme jeune artiste, je me sens supportée par mes collègues en arts communautaires à travers le Canada, grâce à vos ressources partagées.